At the beginning of this year, Jobe kick started its new Local Heroes sponsor program. Local Heroes are athletes who are very much involved with their local cable park or wakeboard and waterski school and are held in high regard by riders from that region. Local Heroes know how to lead by example; they know how to personally grow in the sport as an athlete and can also professionally help grow the sport overall. 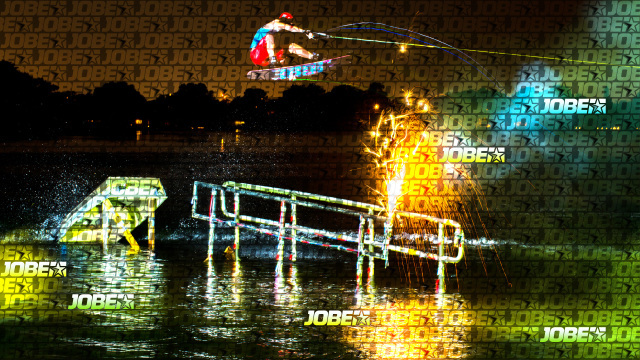 To help them stay on point, Jobe provides product sponsorships so that Local Heroes stay on top of their game at all times, using the latest Jobe wakeboard and bindings or skis and boots. Earlier this season, Jobe already added Local Heroes to several of its regional teams. Sponsorship programs have been awarded to four riders at OWC in the U.S., two riders in the Netherlands at cable parks Burnside and Lido Almere,and one rider has been contracted in Germany at cable park Alfsee. Jobe plans on continuing the expansion of this program in years to come so that an ever-growing base of Jobe ambassadors takes shape not only in Europe and the U.S., but worldwide! Do you think you have what it takes to become a Local Jobe Hero? Contact Patricia Siepel at patricia@jobesports.com or call +31 (0) 487 57 30 90. For more information and all the latest news, go to www.jobesports.com.